Living her dreams with music and on stage. 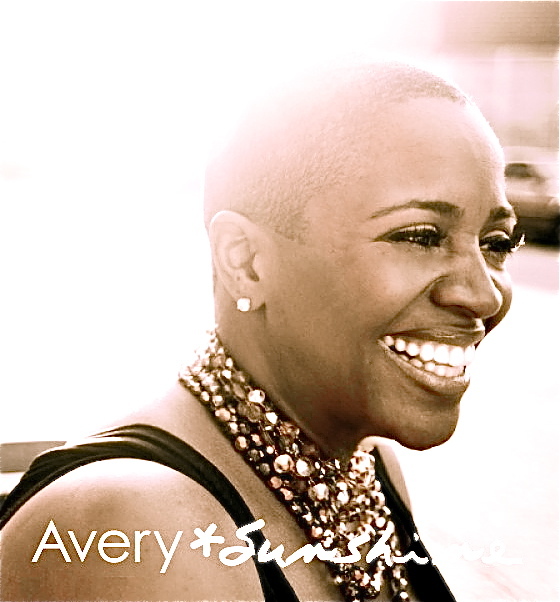 I’m gonna give it to you short and sweet: Avery Sunshine is a self-made woman. She’s an independent soul artist charting on Billboard by the sheer force of her will and the power of her voice. She’s a dramatic actor winning raves under the direction of Hollywood veteran Jasmine Guy in “I Dream the Musical”, now playing at Atlanta’s Alliance Theater. And she’s raising children as she grows her career—with a smile on her face and in her heart. AVERY*Sunshine is the album out now from this Sister Swan. She’s handling her entertainment business on her terms. And this is definitely her season. I am currently a member of the cast of “I Dream the Musical”. I have a principal role as Grandma. “I Dream” is a musical drama based on the life of Rev. Dr. Martin Luther King, Jr. I am also promoting my self titled debut album AVERY*Sunshine which peaked at #3 on the R&B/Soul section of iTunes and #93 on Billboard’s Top 100 albums. Exciting! Congratulations on that debut week activity; no easy feat! Share something you do for work that’s harder than it looks. We recently shot my first video (laughs)…harder than it looks!!! Describe a moment of sweet vindication. Hmmm… the possibility of losing what I know about myself to what others think and say about me. The two places that I call home are wherever my children are and on the stage. I’m reading A Letter To My Daughters by Maya Angelou. Life influences: GOD, My parents, my children, my relationships… Musical influences: The Clark Sisters, Stevie Wonder, Michael Jackson. We all need creative stimulation to be successful. What is your favorite creative food (museum, culture, film, travel)? My favorite creative “stimulator” would have to be movies… I LOVE MOVIES!!!! I’m always inspired musically by the musical content as well as the dramatic content. Always. You asked for one but I MUST give you all three! White Turtle ice cream (from Brewster’s), shoes, and Pillsbury chocolate chip cookies. This entry was posted on July 20, 2010 at 11:29 pm and is filed under Entertainment. You can follow any responses to this entry through the RSS 2.0 feed. You can leave a response, or trackback from your own site.